Thai Chicken Lettuce Wraps on your table in less than 30 minutes! These Thai Chicken Lettuce Wraps are quick and easy, bursting with fresh ingredients, smothered in an unbelievable Pineapple Hoisin Peanut Sauce that is sweet, spicy, savory and 1000X better than takeout! They are healthy, customizable, make ahead friendly and can be served as an appetizer or main course! 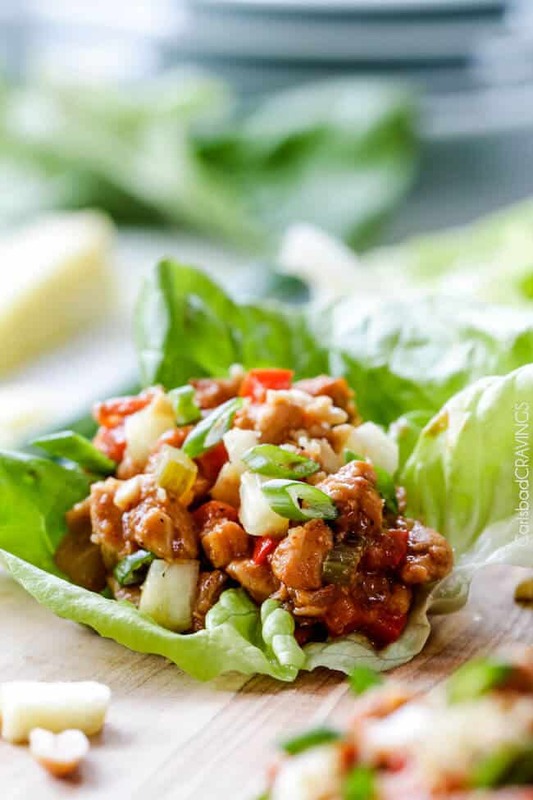 Asian Chicken Lettuce Wraps have to be one of the most popular appetizers in restaurants all across America from P.F. Chang’s to Cheesecake Factory and now in your very own home! These Thai Chicken Lettuce Wraps, however, are even better than any restaurant version in my book. 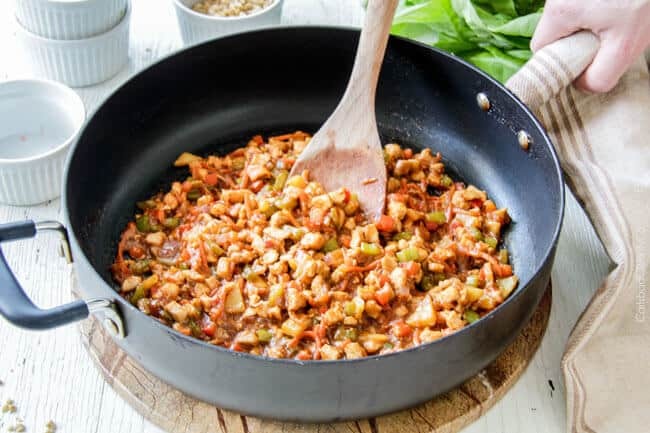 The tender chicken and crisp-tender stir-fried vegges are smothered in a tantalizing hoisin, soy, peanut sauce all rounded out by red curry paste, ginger and basil. The savory, salty sauce is complimented by sweet and tangy fresh pineapple all topped with crunchy peanuts cocooned in fresh, crisp lettuce. It is an alluring texture and bold flavor explosion. The star of these Thai Chicken Lettuce Wraps is definitely the sauce. It doesn’t get any better. 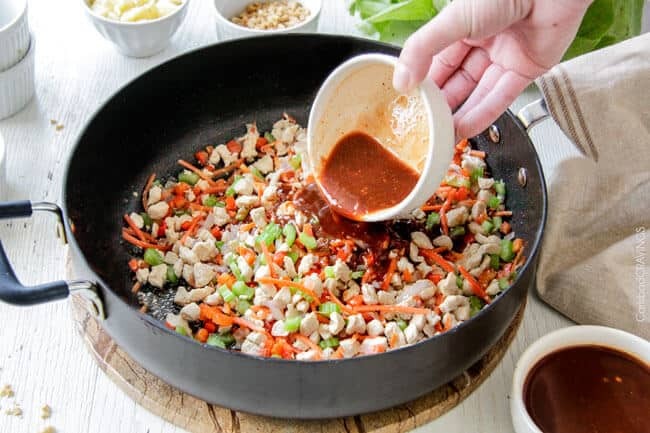 I loved the sauce so, so much I created a stir fry version for you all, just so we could all savor the deliciousness in multiple forms. 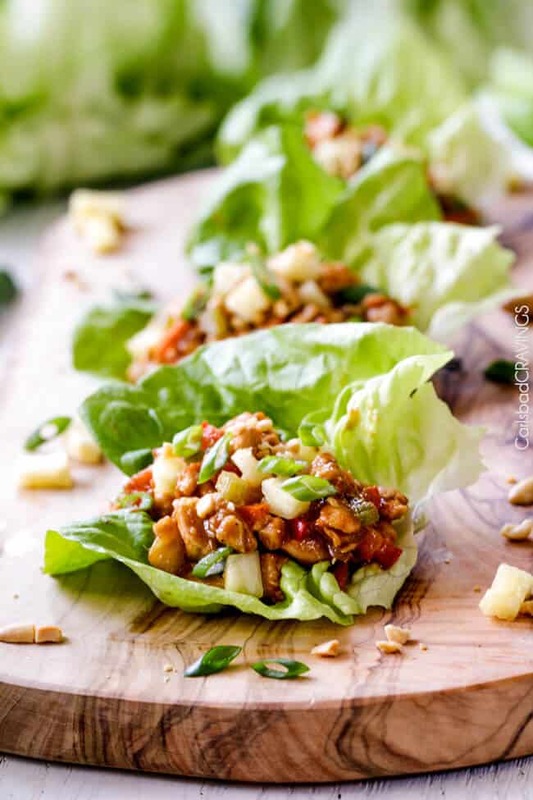 So its time to get giddy about these Thai Chicken Lettuce Wraps! Thai food is all about the balance of sweet, savory, salty and sour. For these Thai Chicken Lettuce Wraps, I wanted a multi-dimensional balanced sauce and not just flat soy based sauce. My resulting Pineapple Peanut Hoisin sauce is perfectly balanced and utterly drool worthy. This sauce is what gives the chicken filling its rich, savory depth and what makes these wraps so incredibly addictive. hoisin sauce: it’s like sweet, salty and tangy Asian BBQ Sauce. It an be found in the Asian section of any grocery store. Please use only quality hoisin sauce like Lee Kum Kee or Kikkoman as all hoisin sauces are not created equal. soy sauce: grounds the sauce. Please use low sodium soy sauce so your sauce isn’t too salty. brown sugar: adds sweetness to balance the soy and vinegar. You may need more or less brown sugar depending on the acidity vs sweetness of your pineapple. red curry paste: red curry paste packs a huge flavor punch because its made of fnely ground coriander, peppercorns, Kaffir lime leaves, lemongrass, galangal, lime leaves, cilantro, shallot, garlic, and fresh chiles – all combined for you. ginger: adds a warm spicy, almost pepper taste. You only need 1 teaspoon freshly grated ginger so feel free to use 1/4 teaspoon powdered ginger instead. garlic: garlic makes everything better! You can use more or less garlic depending on your garlic love. You can substitute the fresh garlic with 1 teaspoon garlic powder. dried basil: basil is quintessential to Thai cuisine. 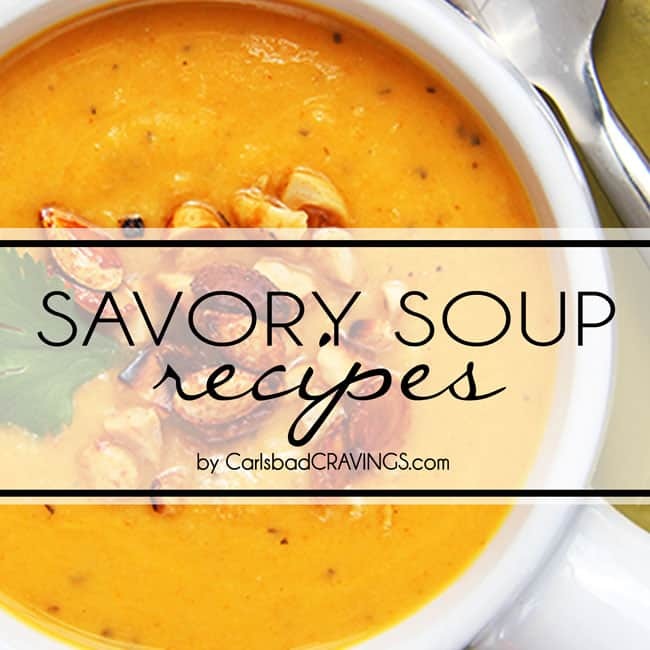 It adds a layer of savory, peppery and slightly minty flavor. peanut butter: creamy peanut butter adds a nutty earthiness and creaminess that marries all the ingredients together. Asian chili paste or sriracha: if your sauce is missing something, it is heat! Add chili sauce to taste. If you aren’t sure how much to add, you can start with less then stir in more at the end if needed. What Chicken Should I use? The Thai Chicken Lettuce Wrap filling consists of both chicken and vegetables. The filling is essentially the vehicle to shovel the delectable sauce into your mouth. For the chicken, I use diced chicken breasts but you can also use diced chicken thighs, or ground chicken. 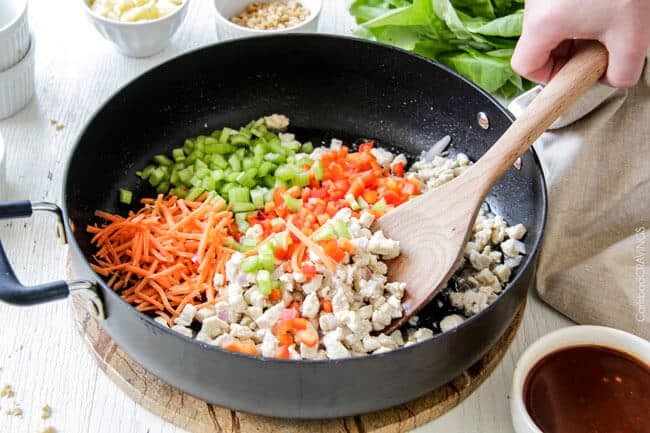 If using ground chicken choose dark meat because it is more flavorful. 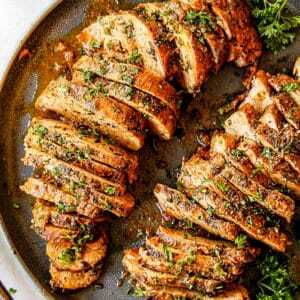 I prefer chicken because it is more mild in flavor but you may also use ground pork, turkey or tofu. What Vegetables Should I use? For the veggies, we saute red onions, diced bell peppers, matchstick carrots, celery and pineapple. The veggies add a fabulous crunch and the pineapple add a juicy sweetness. 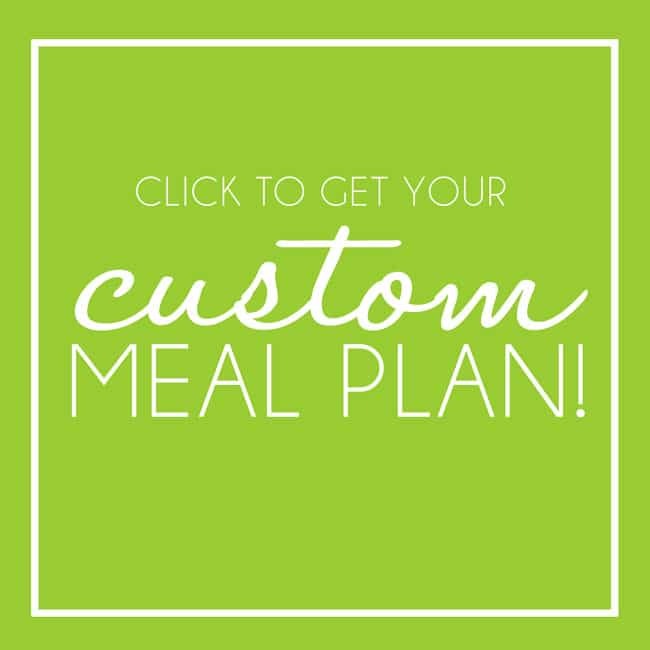 You can customize the veggies with what you have on hand, omit what you don’t like, add more of what you do. You can use diced mushrooms, water chestnuts, zucchini, bok choy, bean sprouts, etc, just make sure you have CRUNCH! What lettuce do you use for wraps? 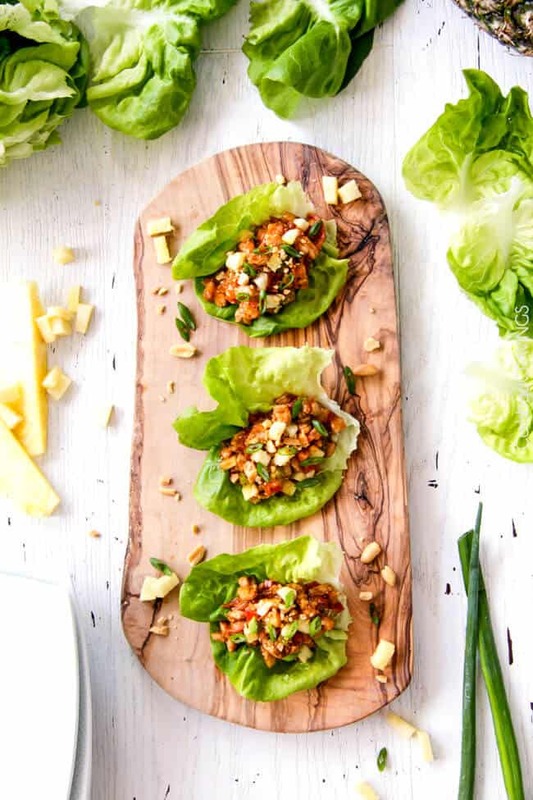 Butter lettuce is my pick for these Thai Chicken Lettuce Wraps. It is also called Boston and Bibb lettuce. Butter lettuce tastes richer and less watery than other lettuces. It is easy to use, has sturdy, broad leaves and can hold a healthy amount of filling without tearing. Any produce section should carry butter lettuce. If you can’t find butter lettuce or want to use a different lettuce, any green lettuce will do. You can use iceberg, Romaine hearts, or even cabbage leaves. My second pick would be Romaine hearts. They are crisp and easy to pull apart into individual leaves. Their main drawback is they are narrow so it is hard to load them with filling. HOW DO YOU CUT LETTUCE FOR LETTUCE WRAPS? Cutting lettuce for Thai Chicken Lettuce Wraps is super simple if you know how, but if you don’t, it is easy to obliterate the lettuce. To cut the lettuce, cut the bottom stem off. Run your knife around the stem to separate it from the leaves. Remove any flimsy or damaged outer leaves. Submerge the entire head of lettuce in a bowl of water. Gently pull the leaves way. The water will help the leaves not tear. Pat the leaves dry with a paper towel then chill until ready to use. First, whisk together the Pineapple Peanut Hoisin Sauce together except the peanut butter. Next, cook the chicken and onions a few minutes then add the vegetables and cook just until the vegetables are crisp-tender. 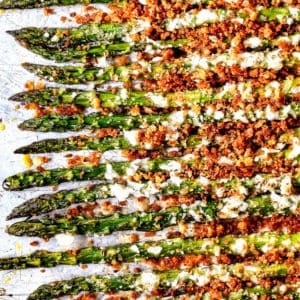 Don’t overcook, you don’t want mushy veggies! Stir in the pineapple and Asian Sauce and bring to a boil, then reduce to a simmer until thickened. Remove from heat and stir in peanut butter until smooth. You can add more or less peanut butter depending on how much of a nutty taste you want and how thick you want the sauce. I like to garnish my Thai Chicken Lettuce Wraps with fresh green onions, more sweet pineapple and crunchy peanuts. Can I Make Chicken Lettuce Wraps in Advance? 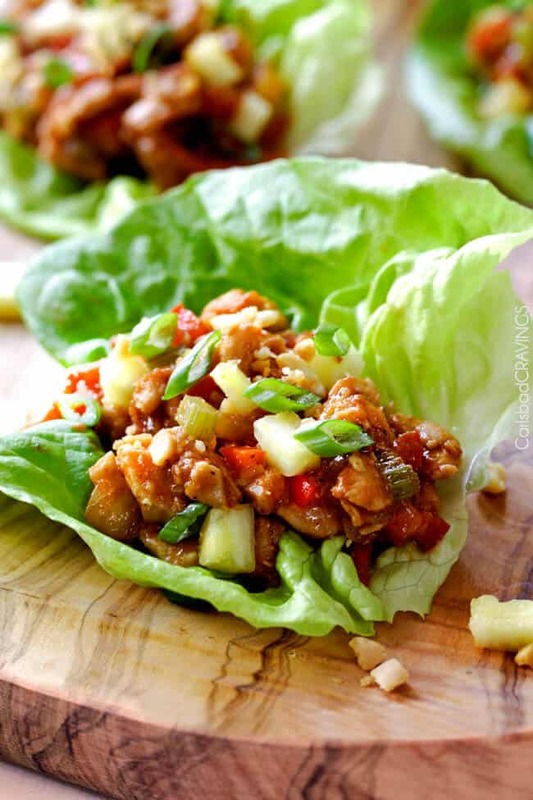 You can make the Thai Chicken Lettuce Wraps in advance at a few varying stages. You can whisk together the sauce ingredients and store in an airtight container up to 5 days in advance. You can prep all the veggies and store in separate plastic bags in the refrigerator up to 24 hours in advance. Lastly, you can completely make the filling in advance and simply reheat it when you are ready to assemble the wraps. 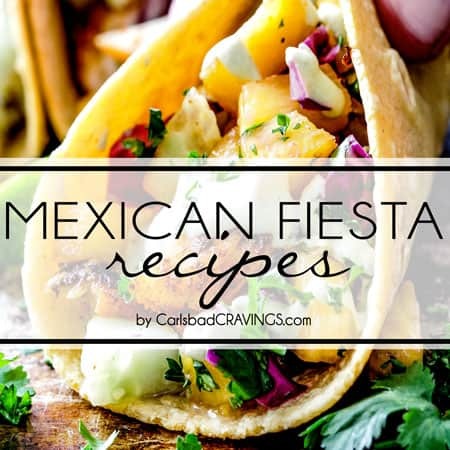 When you reheat the filling, make sure to taste it as the flavors may have mellowed and you might need an additional squeeze of lime or chili sauce. And now you have the easiest, tastiest, stress free appetizer EVER! 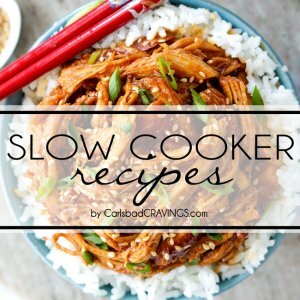 What Should I serve with Thai Chicken Lettuce Wraps? You can serve Thai Chicken Lettuce Wraps alone as an appetizer or with rice and/or Wonton Soup as a meal. If you are looking for more delectable appetizers to serve, Thai Chicken Lettuce Wraps pair beautifully with Wontons, Asian Salad, Potstickers, Wonton Soup and Chinese Chicken Egg Rolls. 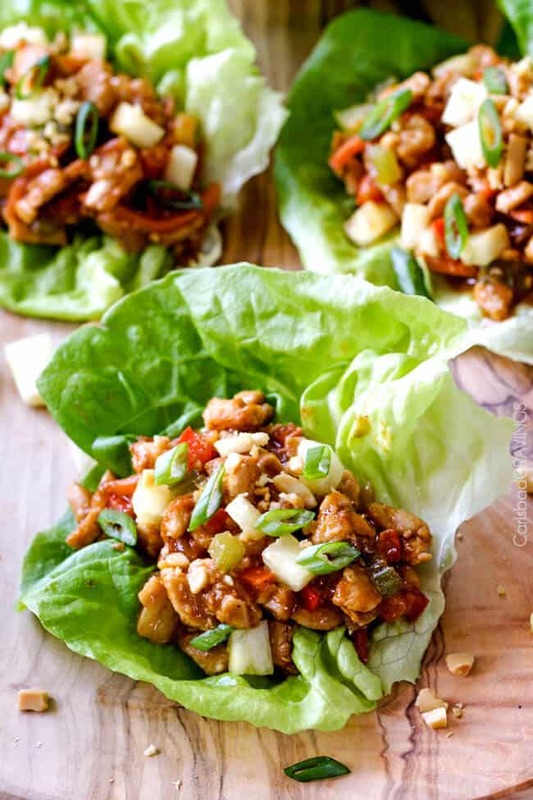 Want to try this Thai Chicken Lettuce Wraps Recipe? 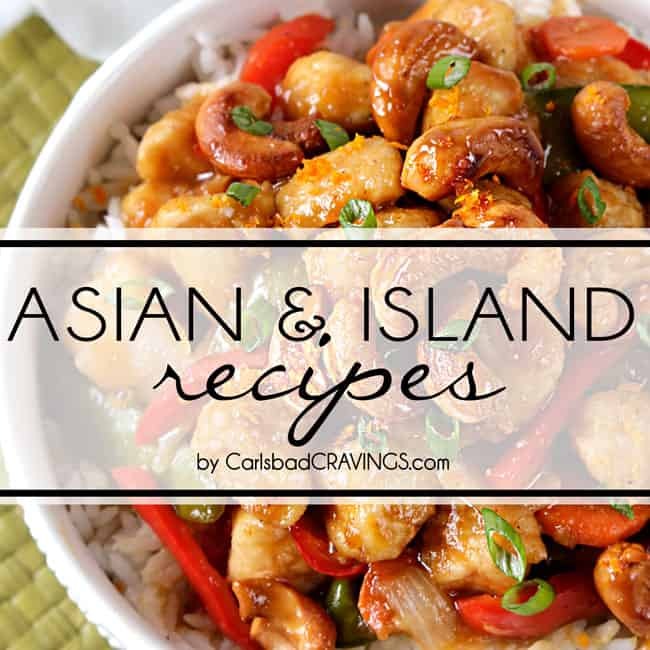 Pin them to your Chicken, Asian or Appetizer Board to SAVE for later! 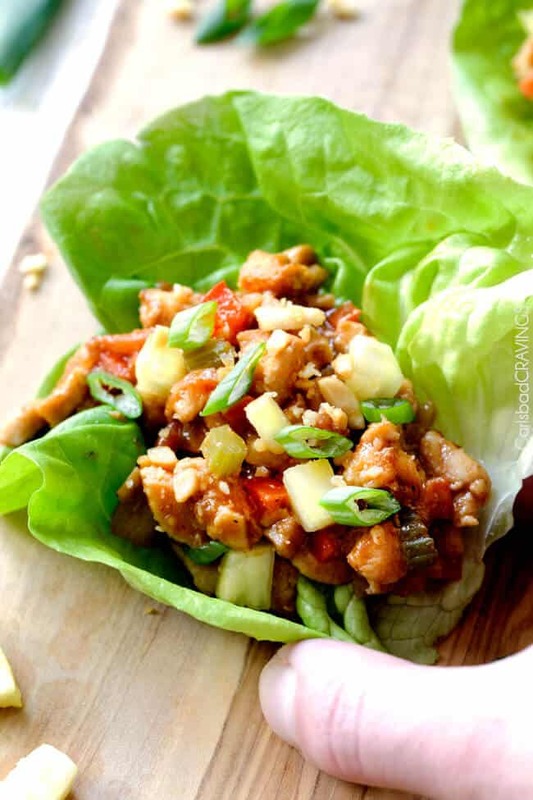 Thai Chicken Lettuce Wraps on your table in less than 30 minutes! These Thai Chicken Lettuce Wraps are quick and easy, bursting with fresh ingredients, smothered in an unbelievable Pineapple Hoisin Peanut Sauce that is sweet, spicy, savory and 1000X better than takeout! They are healthy, customizable, make ahead friendly and can be served as an appetizer or main course! Whisk together all of the Asian Sauce ingredients in a medium bowl EXCEPT the peanut butter. Set aside. Heat 2 tablespoons olive oil in a large skillet over medium high heat. Add red onions and chicken and cook just until chicken is no longer pink, about 3 minutes. Add peppers, carrots and celery and saute for 2 more minutes. Stir in pineapple and Asian Sauce and bring to a boil, then reduce to a simmer until thickened. Remove from heat and stir in peanut butter until smooth. Taste and add additional Sriracha/Asian hot chili paste for spicier, brown sugar for sweeter. Fill lettuce leaves with desired amount of filling then garnish with fresh pineapple, green onions and peanuts. These look so delicious!! I love lettuce wraps for a quick weeknight dinner!! I’m definitely trying these this week!! yay! 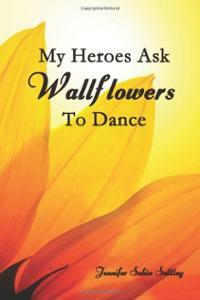 I hope you absolutely love them! They make such a fun dinner and you feel like you’ve escaped to a restaurant! I made these and they are quite good–sadly mine aren’t as appetizing looking. My sauce was quite orange? I can’t tell if it was the chili paste, the red bells, or the carrots (or all three) contributing to quite a vibrant ORANGE look…but the sauce is delish. Next time I might cook it down separately and drizzle it on for less of an oompa loompa look. 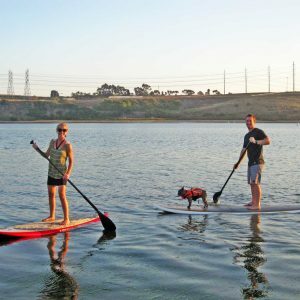 You are so welcome Tally, hope you can try it soon! These were delicious, even my four and five year olds loved them! That is awesome Kathryn, always great when kids love the adult food! Thank you! 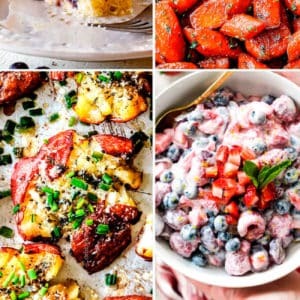 I could enjoy this recipe weekly, it is SO good! 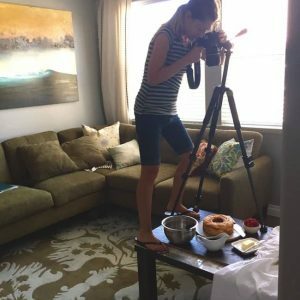 But your blog has so many amazing dishes to try, I’m trying to continue making new ones You are a talented woman, Jen, thanks for all the delicious food! Hi Emma, I am so sorry for the delay as I am way behind after recovering from pneumonia, but I so appreciate your comment! 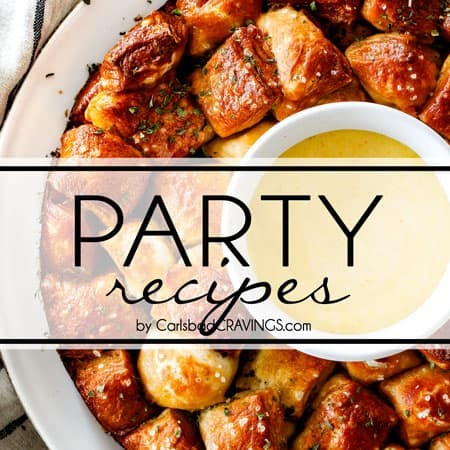 I am so happy you love this recipe so much as it is one of my favs but doesn’t get a lot of comments – so I especially love hearing that you love it! 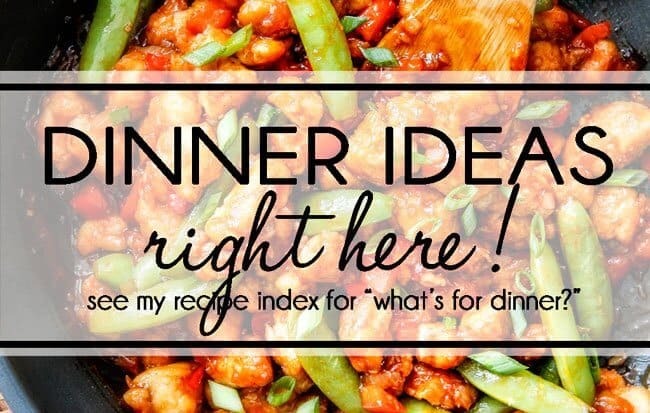 I hope you have fun continuing to try new recipes! 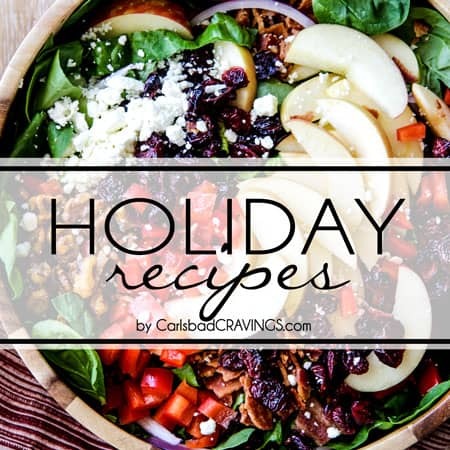 Yet another winning recipe! I’m looking forward to,having the leftovers for lunch tomorrow.